Perfect for couples! Quality renovation and ideal location. Free Wifi. Bikes. Property 5: Perfect for couples! Quality renovation and ideal location. Free Wifi. Bikes. Characterful barn conversion cottage with stunning valley views. Property 11: Characterful barn conversion cottage with stunning valley views. 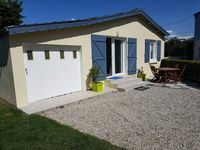 Property 19: Pretty Gite In Beautiful Rural Location Sleeps 5. Property 26: Gite 7 persons, 300m from the sea, shops, comfortable, Agon-Coutainville. 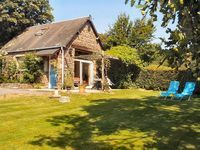 Property 31: La Louverie "Holiday Gite"
Cider Cottage,rural cottage,close to the coast.Pets welcome,free Wifi. Property 46: Cider Cottage,rural cottage,close to the coast.Pets welcome,free Wifi. 3 bed luxury cottage cottage, sleeps up to 8. Property 49: 3 bed luxury cottage cottage, sleeps up to 8. Property 50: Apple Cottage ,rural,but close to the coast. Pets accepted,free Wifi. Marvelous location for touring Normandie and Brittany!!! Super hosts making our stay very special.would highly recommend this cottage. Excellent accueil par Danielle et logement tr&egrave;s agreable. Tout &eacute;tait tr&egrave;s propre, neuf confortable et accommodant.